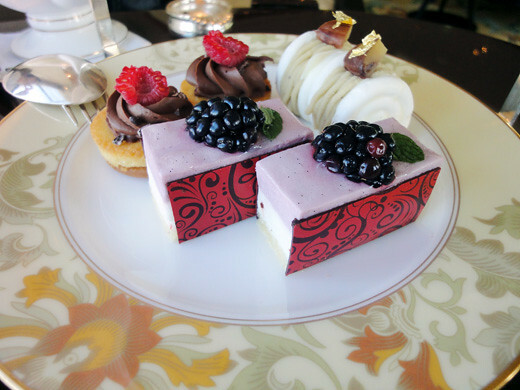 An executive pastry chef, Mr. Okamura of the Shangri-la hotel Tokyo offered a special afternoon tea set that was met with tea of Harney & Sons. 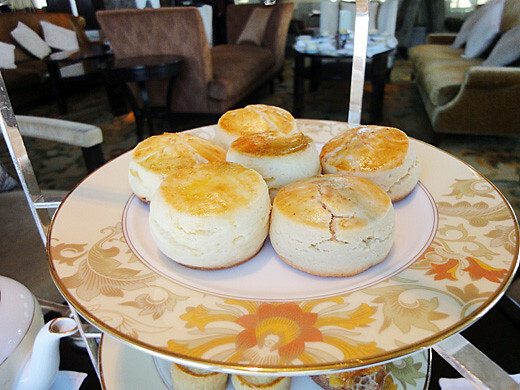 There were the selection of oven baked scones (traditional, hot cinnamon spice tea, ginger) at the top plate. 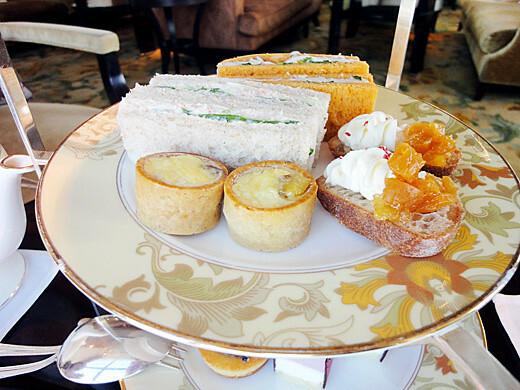 The second plate was the selection of afternoon tea sandwiches (spice scented Chinese quince chutney and chicken, shrimp and csleriac salad with cardamom, apricot and mascarpone cheese, chestnut and braised iberico pork quiche). And, the third plate was the selection of sweets (Japanese chesnut Mont Blanc, chocolate tart, Kyoho grape and fromage mousse). 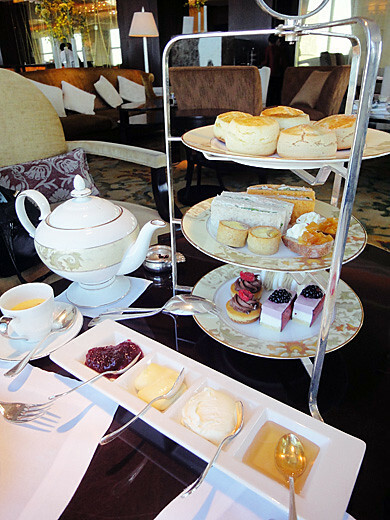 However, I became a member of Afternoon tea club of the Shangri-la Hotel Tokyo. 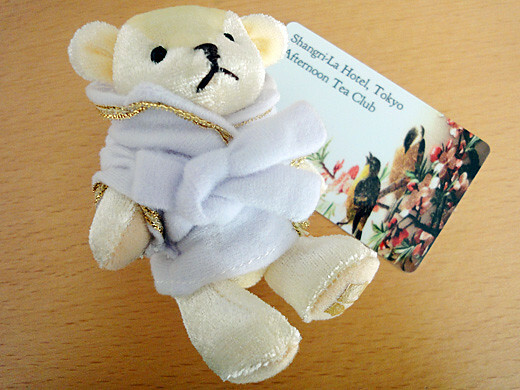 And, I got a mini Shangri-la bear with a bathrobe as a gift for the new subscriber.